Easily search for the Dog breed you are want by looking at the group it belongs to. Most breeds will have more than one image to view. Aditional Breeds are always being added so check back or send me a request. Logos can be developed a few ways...as line art (which is ideal for digitizing and more controlled printing), or as an illustration,or you can combine the styles (combining an illustration with a photo and text). Normally I need a week if it is done las a line drawing, if it is a combination of illustration and text I need three weeks. If you have photo of what you are looking for that helps me envision what you might be looking for. How do I approve the logo? A jpeg of the artwork will be emailed to you for approval before your item is shipped. We will provide you with a few formats so you will be ready to roll out your new look. If you need business cards, we can do that too. I will forward your final design to Vista Print for printing, shipping directly to your door. Absolutely. That's why we send a proof. We want you to be happy with the finished art. Three adjustments may be made at no charge. Sometime we need to make a minor adjustment, since sometimes a photo misses a little feature that makes them yours. Adjustments after the third one will be charged back at fifty dollars per hour. How is my art shipped to me? Shipped as a CD or DVD by US mail, with a use agreement allowing you to reproduce the logo as you need. If you just need a clean version of a current logo, normally about fifty dollars. For a new logo call to discuss as every job is different. Pricing for breeder logos start at 200 dollars and goes up to 350 US dollar. 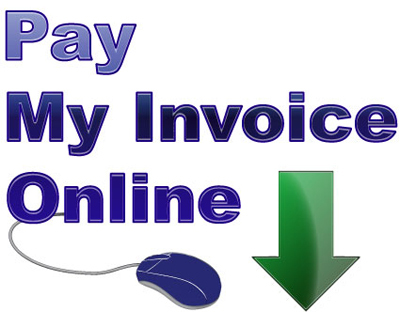 A minimum payment fee id due at start of your design. (This includes Clubs). When the artwork is done as a custom item for an individual, club or kennel, the copyright is normally assigned to both you and Cimmaron LLC with a full usage agreement assigned to you. If you are looking for a full release, this needs to be agreed to prior development. A CD/DVD can be ordered providing you your finished logo in several printable and web formats. send me a request. When all else fails or you have question, just email Cimmaron Dog Art by clicking here. What medium do you use to make my Pet Portrait? My full color pieces are done by underlaying a pastel foundation then applying a combination of watercolor pencils and color pencil technique to give vibrant colors with sharp details. Illustrations may be done from your photos or ours. I can use copyrighted photos only with a photographer's release. Such a release is normally given at no charge upon request. (copyright release must be included with the request). For full color work my medium is a mixed medium of pastel, and watercolor pencil. This mixed medium allows for the color vibrance of watercolor with the detail that brings you pet's portrait to life on paper. How long will it take before I see a proof of the final art? For full color pet portraits about three weeks. From June thru December, turn around can be somewhat longer. A 50% deposit is required with the balance due at completion. Absolutely. Three adjustments may be made at no charge. Sometime we need to make a minor adjustment, since sometimes a photo misses a little feature that makes them yours. What sizes are available and how much does it cost? Prices there are for one subject and are approximate, designed to fit standard frames. An 8 by 10 inch black and white drawing is two hundred dollars. My 11 x14 (fits 12 x 16 inch frame) inch black and white drawing is three hundred dollars, full color is six hundred dollars, a fifty percent deposit is due before starting. We make quality decals for cars, windows, dog dishes, coffee cups, tack boxes, dryers and much much more! Breed silhouette are great gifts for new puppy buyers. Standard decals come in white sized approximately 4 inches x 4 inches. Other sizes and colors are offered. Below the decal images are shown in alphabetical order. Add text, add bling, add your kennel name, its whatever you need. Our silhouettes can be transformed into glitter, foil or single color dog images for T-shirts, Sweatshirts and Hoodies! A Custom designed breed silhouettes or logos make great trophies, just apply to mugs, dog dishes & buckets, water bottles, stem wear. If you have a special request email us here. Club and large volume order discounts available. All images within this site are for viewing or ordering purposes only. Images are the copyrighted intellectual property of Cimmaron Design LLC. Most breeds will have more than one image to view. 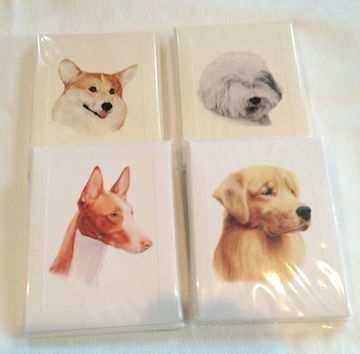 Additional Breeds are always being added so check back or SEND ME A REQUEST..
Our Note Cards have 10 cards to a package with 11 matching envelopes. Cards measure 4 and 1/4 inches by 5 and 1/2 inches and are custom printed on card stock with light embossing. We offer two colors of stock, white & off white. You can add inside or outside text as an additional charge. Custom order are offered. We can add your logo, an announcement, or photo. Additionally we can offer you Inside printing. If choosing cream colored stock remember the white will be cream. See options as additional custom charges may apply. Looking to order an item with your pet on it? Just upload the file in our personalize tab...I can do that too! Our silhouettes can be transformed into single color or rainbow dog images.